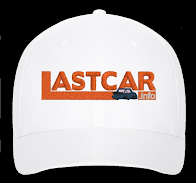 Michael McDowell picked up the 13th last-place finish of his NASCAR Sprint Cup career in Monday’s GEICO 400 at the Chicagoland Speedway when his #66 James Fund Toyota fell out with brake problems after 25 of the race’s 267 laps. The finish was McDowell’s series-leading sixth last-place finish of the 2011 season and his first since the Heluva Good! 400 at Michigan, twelve races ago. His finish is also the 100th for Toyota across all three of NASCAR’s top divisions. Toyota’s first NASCAR last-place finish came in 2004, when Robert Huffman’s #12 Toyota Tundra crashed 25 laps into the Truck Series season opener, the Florida Dodge Dealers 250 at Daytona. McDowell, carrying decals for adoption assistance program The James Fund on a paint scheme that debuted at Richmond, qualified 33rd for Monday’s race at a speed of 180.060 mph. Just before the start of the race, McDowell fell to the rear along with Robby Gordon, who changed engines prior to the event. When the race began, Josh Wise, driving for Larry Gunselman, fell to the back, followed on Lap 9 by David Stremme, who made an unscheduled stop in his Inception Motorsports #30. 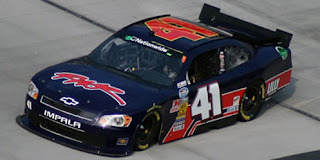 However, McDowell was the first to pull behind the wall on Lap 25, saying his car was running too tight. Once behind the wall, crew chief Gene Nead reported that there was a hole in the nose of his Toyota. Wise and Stremme were the next two cars to fall out of the race, ending a pair of promising weekends. Wise’s hair-raising qualifying run ended the Gunselman team’s streak of three consecutive DNQs and also gave Wise his first Cup start after three unsuccessful attempts since late 2009. Nearby Bradley University had its decals on Wise’s #37 as eight of its students were interning with the team. Stremme lacked sponsorship, but ran in the Top 10 in both Chicagoland practices, running 7th in the first session and 9th in Happy Hour. The Inception team has had other flashes of brilliance in practice, running 2nd-fastest in Bristol’s Happy Hour last month and topping the speed charts during Happy Hour at Michigan in June. *The last time the #66 finished last at Chicagoland was in 2009, when Dave Blaney’s PRISM Motorsports Toyota fell out with an engine failure after 10 laps of the 2009 Lifelock.com 400. The year before, McDowell scored his first Cup Series last-place finish in the same event, finishing eight laps down, but still running, in his #00 Champion Mortgage Toyota. *This was the first time a Cup driver finished last at Chicagoland due to brake failure. Mike Harmon picked up the 3rd last-place finish of his NASCAR Camping World Truck Series career in Friday’s Fast Five 225 at the Chicagoland Speedway when his #74 @hrmn8ter Ford fell out with transmission problems after 3 of the race’s 150 laps. This year, the 53-year-old Birmingport, Alabama competitor became an owner-driver, first fielding his #74 in the Nationwide Series at Fontana, where he finished last with a vibration. Last month at Michigan saw Harmon expand his operation into the Truck Series, his black Fords carrying the web address to his Twitter account. Following a 32nd-place run in the Michigan race, Harmon’s next truck race would be Friday’s race at Chicago. Harmon qualified 33rd for the race at a speed of 163.117 mph. His speed was good enough to beat four other “go-or-go-homers,” including Wayne Edwards and Charlie Vest, who both failed to qualify. Three laps into the opening run, Harmon went behind the wall, followed on the next lap by Chris Jones and David Stremme. 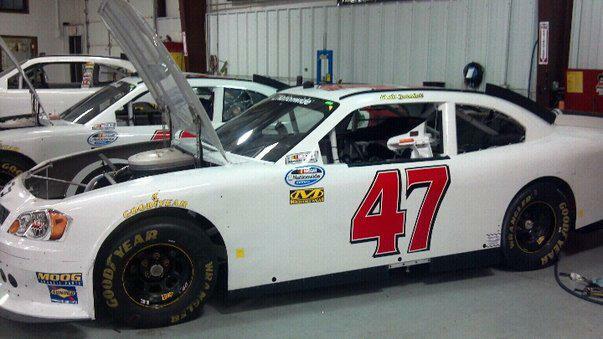 Stremme was making his first Truck Series start since 2008, debuting Rob Winfield’s #27 Chevrolet. 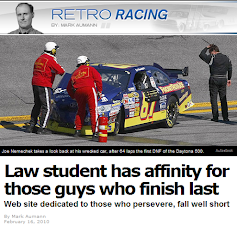 *Harmon had not finished last in the Truck Series since 2010, when his Chris Lafferty-owned #89 Marriott / Shula’s 347 Grill Ford fell out with transmission trouble after 9 of the race’s 130 laps. That run was also Ford’s most recent last-place finish; Harmon’s is the first for Ford in 2011. *This was Ford's 850th last-place finish across NASCAR's top three divisions. 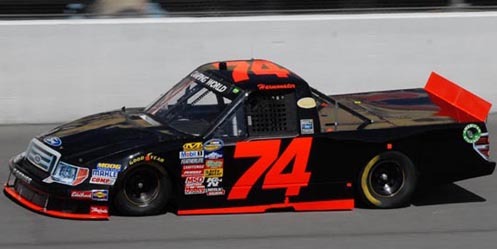 *This last time the #74 finished last in a Truck Series race was in 2008, when Larry Gunselman’s #74 DCI / RMR Dodge left the race with electrical problems after 2 of the race’s 172 laps. 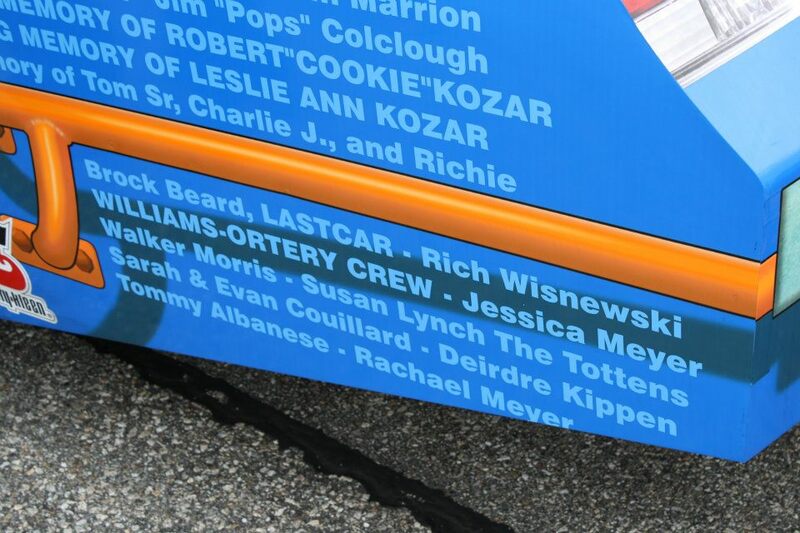 Gunselman’s truck was owned by all-time LASTCAR leader Derrike Cope. *Harmon is the first driver to finish last in both a Truck Series race (Chicago) and a Nationwide race (Fontana) this season. The only other driver to finish last in two divisions this season is Jeff Green, who has one finish in Cup (Loudon) and eight in Nationwide. Dave Blaney picked up the 19th last-place finish of his NASCAR Sprint Cup Series career in Tuesday’s AdvoCare 500 at the Atlanta Motor Speedway when his #60 Big Red Chevrolet exited the race with a vibration after two of the race’s 325 laps. With the finish, Blaney is now tied for the fourth-most last-place finishes in Cup history with G.C. Spencer. 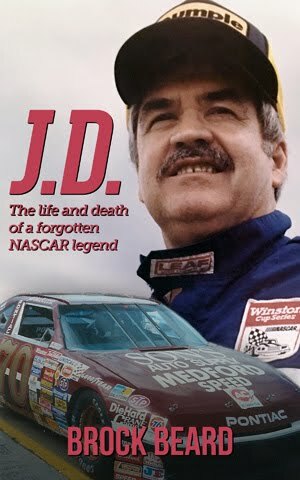 He is also tied for the fourth-most all-time across all three top divisions of NASCAR with Jeff Fuller and Jeff Green. 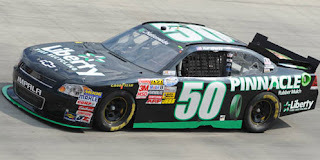 Following last week’s race at Bristol, Germain Racing switched its #60 team from Toyota to Chevrolet, but Mike Skinner remained the driver of the car. On Saturday, Skinner put the car into the 39th spot at a speed of 180.012 mph, more than enough to bump out four other teams. Teammate Casey Mears, his #13 GEICO machine still a Toyota, qualified one position ahead of Skinner in 38th. Dave Blaney, who has enjoyed some of his best runs at Atlanta, qualified 35th in Tommy Baldwin’s #36 Golden Corral / Collective Soul Chevrolet. However, by the time rain pushed the start of the race to Tuesday morning, Blaney was suddenly suffering from kidney stones. 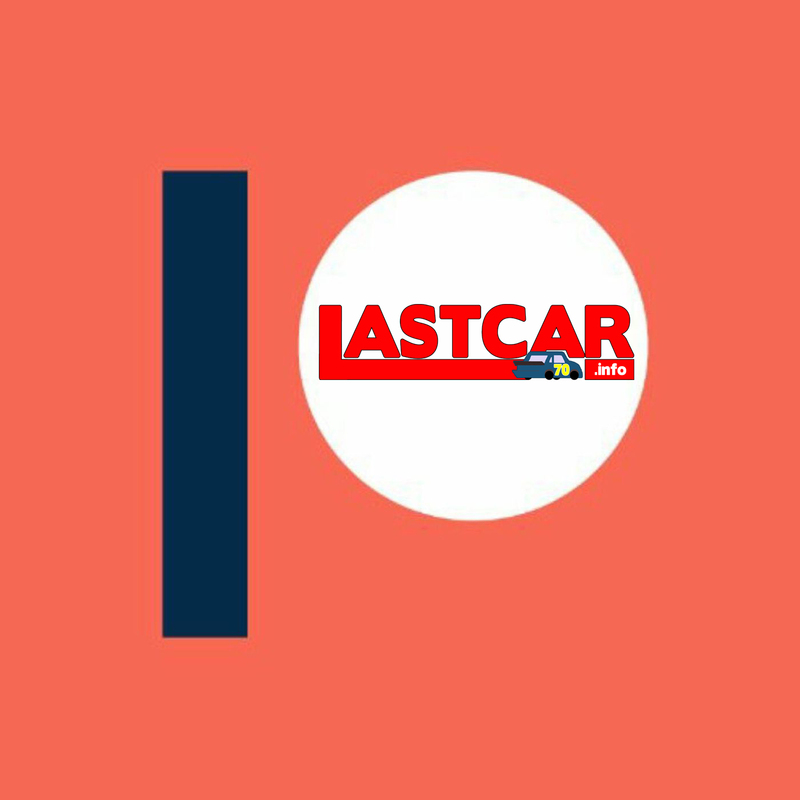 Knowing Skinner was going to park the #60 to help fund Mears’ team, Blaney and Skinner switched rides, allowing Blaney to exit the race after two laps in the #60. Skinner and Mears went on to finish the race 27th and 28th, with Skinner leading two laps during a late round of green-flag pit stops. *This was Blaney’s first last-place finish of the season. The last time he came home 43rd was last fall in the AAA 400 at Dover, where his then-unsponsored #36 Tommy Baldwin Racing Chevrolet exited the race after 29 laps with electrical problems. *Blaney has one other last-place finish in a Cup race at Atlanta, which came in the 2009 running of this race. Back then in the 2009 Pep Boys Auto 500, Blaney’s #66 PRISM Motorsports Toyota left the race after 19 laps with electrical problems. *This was the first time the #60 has ever finished last in a Cup race at Atlanta. Although this was Blaney’s first last-place finish of 2011, it was the sixth for the #60 Germain Racing team, breaking a tie with HP Racing’s #66 for the most last-place finishes so far this season. 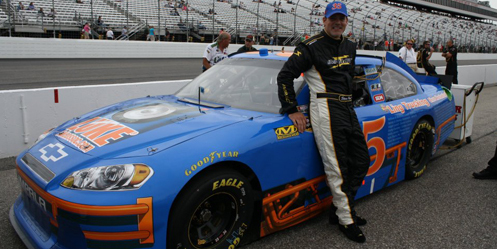 The team’s most recent last-place finish came with Mike Skinner at Watkins Glen, three races ago. Johnny Chapman picked up the 14th last-place finish of his NASCAR Nationwide Series career in Saturday’s Great Clips 300 at the Atlanta Motor Speedway when his unsponsored #41 Rick Ware Racing Chevrolet fell out with overheating problems after the first of the race’s 195 laps. The finish was Chapman’s second of 2011 and his first since Nashville, 18 races ago, when he was driving Rick Ware’s unsponsored #75 Ford. Chapman’s run not only tied him with Dennis Setzer for the second-most last-place finishes in Nationwide Series history, but also ended Jeff Green’s record-breaking streak of four-consecutive last-place finishes. Chapman qualified 25th at a speed of 171.976 mph, ranking him third among the “go-or-go-homers” behind Ryan Truex and Trevor Bayne. Jeff Green’s #44 timed in three spots behind Chapman in 28th. Both were more than fast enough to bump out of the field Brian Keselowski’s #47 and the #74 of Mike Harmon. For the first time since Iowa last month, owner Rick Ware had four cars in the starting field with Chapman joined by Timmy Hill’s #15, Carl Long in the #75, and Clay Greenfield making his series debut in the #71. When the race started, Chapman and Long fell out in the first six laps, followed by Hill and Greenfield by Lap 94. Jeff Green remained in the race until Lap 17, which put him 37th in the final running order. *Rick Ware’s #41 scored its most recent last-place finish in the 2010 DRIVE4COPD 300 at Daytona, when Chrissy Wallace’s Fuel Doctor Chevrolet was involved in a crash on the opening lap. *The #41 had never before finished last in a Nationwide Series race at Atlanta. *A Nationwide Series driver has not finished last due to overheating problems since Kevin Conway fell out after two laps of this spring’s Las Vegas race, the 2011 Sam’s Town 300, 23 races ago. Dennis Setzer picked up the 2nd last-place finish of his NASCAR Camping World Truck Series career in Friday’s Good Sam Club 200 at the Atlanta Motor Speedway when his #93 S&W Services Chevrolet fell out with brake problems after 6 of the race’s 130 laps. Setzer was making his first Truck Series start of the year and his first-ever for owner Shane Sieg. In 297 previous starts dating back to the inaugural 1995 season, Setzer has amassed 18 wins, but none since his emotional win for Bobby Hamilton Racing at Martinsville in 2008. Martinsville was the scene of Setzer’s most recent Truck Series start, where he came home 29th driving for owner Ricky Benton. Setzer qualified 33rd for the race at a speed of 169.076 mph, continuing the streak of Sieg’s #93 making every race this season. For the first time this year, the #93 was the first to the garage, followed a lap later by teammate and current 2011 LASTCAR Truck Series leader Mike Garvey in the #38. *Setzer’s only other Truck Series last-place finish came in 1999, when the engine blew on his #1 Mopar Performance Dodge after the opening lap of the season-opening Florida Dodge Dealers 400k at Homestead. 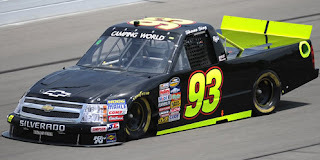 *Sieg’s #93 most recently finished last at Homestead when Shane Sieg himself fell out with electrical problems after 8 laps of the 2010 Ford 200. *The #93 had never before finished last in a Truck Series race at Atlanta.